The third ride in the Euston Park Season saw both national and international riders enjoying the blue skies and beautiful forests and tracks of Euston Park. 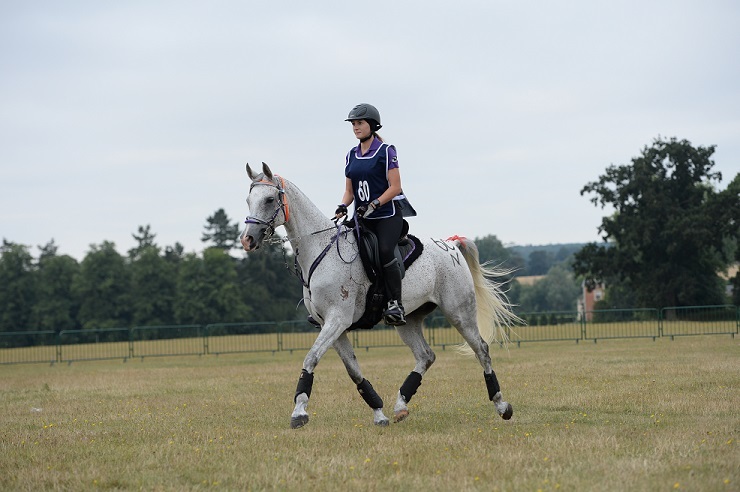 Four international rides took place including the CEI2* 120km on Saturday 4th August and the CEI1* 80 km, CEIYJ2* 120km and CEI3* 160km on Sunday 5th August, attracting riders from across 12 nations. Although the weather was warm across the weekend, the courses rode well. Euston Park now looks forward to the H.H. Sheikh Mohammed Bin Rashid Al Maktoum UK Endurance Festival which will take place from the 16th – 19th August. The entire prize fund for the rides was awarded based on FEI’s Best Condition Awards [Article 822], as judged by members of the veterinary commission. Saturday 4th August saw the first national rides of the Euston Park season taking place with a total of 42 national competitors riding across three classes: GER 80km, GER 40km and GER 40km Novice. The Saturday rides followed on from a very successful Young Riders Endurance Camp the week before, and participants went on to compete in the National Rides on Saturday. The next National Rides will take place on the 19th August and form part of the H.H. Sheikh Mohammed Bin Rashid Al Maktoum UK Endurance Festival. This will include 80km GER, 64km GER, 40km GER, 40km Novice GER, 32km GER, 32km Novice GER, 32km PR and 20km PR. The Pony Club National Championships will also take place on the 19th August.